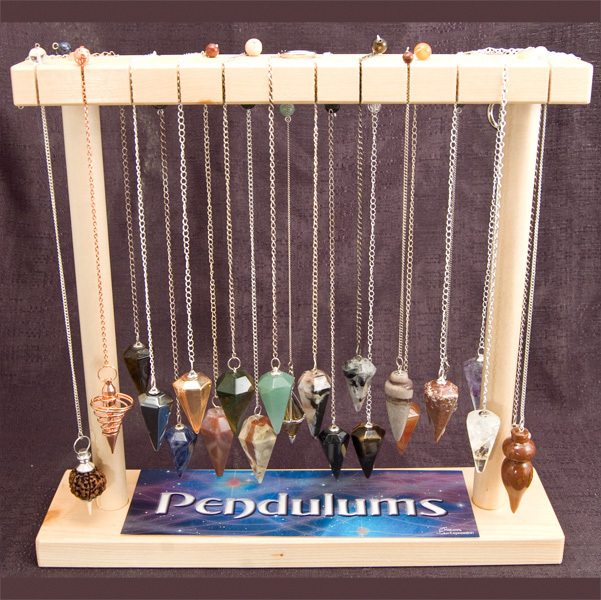 This simple, sturdy wood stand can hold up to 24 pendulums. 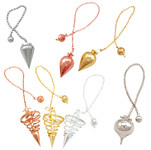 The pendulum chains slide into notches, with the pendulum suspended below. 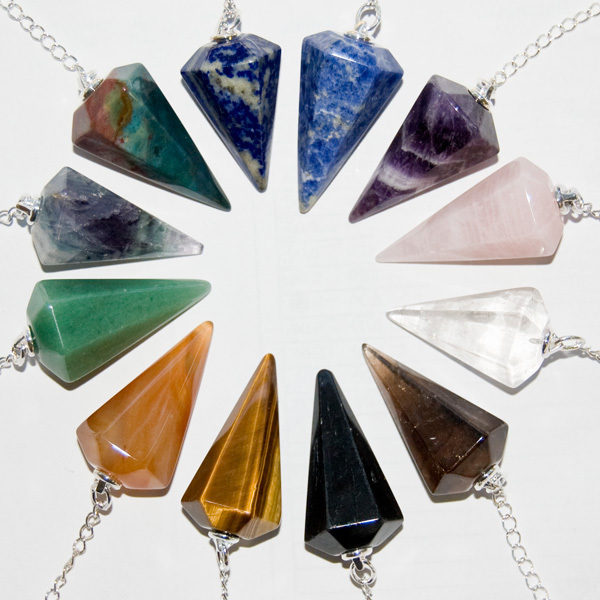 Perfect for in-store display. 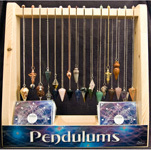 This small display fits easily into many shop settings and makes it easy to display and sample pendulums. 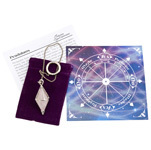 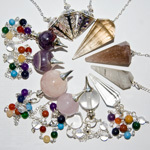 Pendulums are the perfect tool for divination and dowsing. 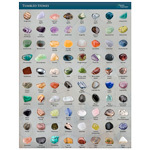 The faceted pendulums in this collection are made from a variety of semi-precious stones which may include: bloodstone, blue obsidian, black tourmaline, carnelian, amethyst, sodalite, fluorite, green aventurine, hematite, lapis lazuli, clear quartz, rose quartz, smokey quartz, labradorite, lepidolite, gold tigereye, turquoise howlite.